The Glo NPFL managed by the League Management Company LMC have turned up several mouth-watering clashes, a few surprising results and so many interesting facts and stats. Here are some of the finest stats about the clubs and players in the 8th week old Nigerian Premier Football League. 4. A total of 15 penalties have been converted out of the total number of penalties awarded this season. Goal keepers have had a nightmare against spot kick takers. 7. Rangers have also racked up the highest number of yellow cards (10) in the Glo NPFL so far, earning the tag of the league’s dirtiest team. 10. Glo NPFL table-toppers Giwa FC hold the longest unbeaten streak (5) this season. They travel to Enyimba this Sunday. 11. Five is the highest number of draws by any team this term. Lobi Stars hold that honour in the Glo NPFL. 12. Giwa FC striker, Ibrahim Shuaibu, is the Glo NPFL top scorer with 5 goals after Match Day 7. 16. Heartland have won more Glo NPFL matches on the road, being 2, than any other club. 18. For Shooting Stars, they are not to field Ajani Ibrahim who is yet to be fully cleared to leave Sunshine Stars, their opponents on Sunday in Akure. 19. 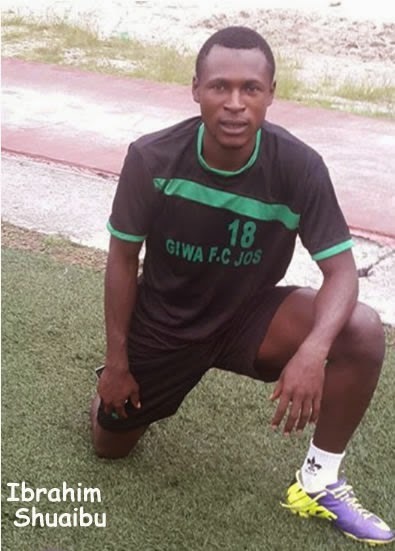 Enyimba International are billed to play Giwa FC in Aba on Sunday but Ifeanyi Anaemena John Momoh registered to play with Enyimba with a provisional clearance from the Jos side is therefore not eligible to play in the tie. 20. Bobby Clement, Osadebamwen Okoro and Okagbue Orji Kalu will also not be with Rangers when they play Heartland of Owerri as the three Heartland players have only received provisional clearance to join Rangers. All Facts are provided by the LMC.